Ninety-nine percent of chemical contamination can be removed by carefully removing clothes and wiping skin with a paper towel or dry wipe, according to new scientific studies of decontamination methods sponsored by the U.S. Department of Health and Human Services’ Office of the Assistant Secretary for Preparedness and Response (ASPR). Funded by ASPR’s Biomedical Advanced Research and Development Authority (BARDA), researchers from the University of Hertfordshire in England and Public Health England, an agency of the United Kingdom’s Department of Health, found that removing clothes removes up to 90 percent of chemical contamination and wiping exposed skin with a paper towel or wipe removes another 9 percent of chemical contamination. After disrobing and wiping with a dry cloth, showering and drying off with a towel or cloth provides additional decontamination, bringing contamination levels down 99.9 percent. 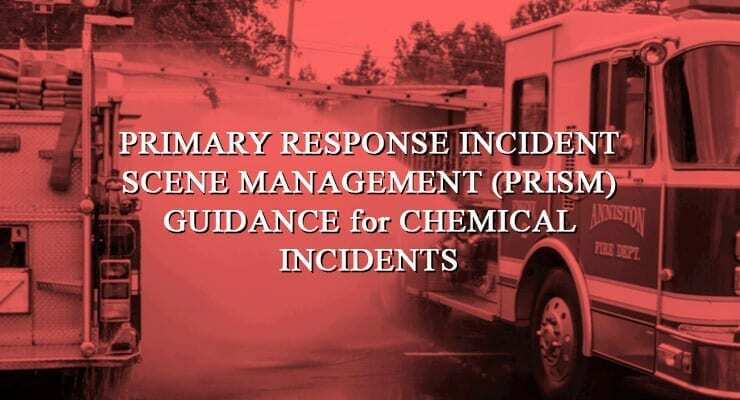 Based on the evidence-based recommendations called Primary Response Incident Scene Management (PRISM) for mass patient decontamination, community planners can build scientifically sound actions into emergency response plans. These considerations include places for people to disrobe privately, providing paper towels or wipes, ways to dispose of the contaminated towels, and working with community partners to provide clean clothes or robes after these initial decontamination steps. The findings also suggest the need to avoid the common practice of using high-pressure water from fire engines to shower clothed patients as the first and primary method of decontamination. Having people disrobe after chemical exposure before using low-pressure water to shower is part of current standard operating procedures and was emphasized in national planning guidance issued in 2014 for patient decontamination in mass chemical exposure incidents. Yet researchers found that in actual practice people were not always required to disrobe before showering. The study results provide scientific evidence that showering in contaminated clothing washes chemicals through to the skin, actually increasing contamination, whereas removing the contaminated clothing prior to showering better protects the skin. Typically mass patient decontamination takes place at the scene of the incident using firefighting equipment. The studies examined a wide range of variations in this approach to mass patient decontamination – including using various water temperatures, adding the use of soap, and having patients disrobe before showering – to determine which practices were the most effective in removing chemical contaminants. The findings also provide new evidence and specific recommendations that enhance the 2014 national planning guidance. That planning guidance addressed a community-wide response to a mass exposure incident with general principles based on the limited scientific evidence available at the time. Mass patient decontamination at the scene of an incident is one component of the whole community response to a mass exposure chemical incident covered in the 2014 guidance. Prior to the national planning guidance, first responders and emergency medical providers used the past experience of their own agencies and colleagues as the basis for deciding the best decontamination methods. The guidance and the PRISM recommendations are part of BARDA’s advanced research and development portfolio of medical countermeasures needed in emergencies including medical products to diagnose, prevent, treat, and protect health against chemical, biological, radiological or nuclear threats.